Unbelievably, a girl that I taught in third and fourth grades has been student teaching at my school this year! Yes, that makes me feel old! 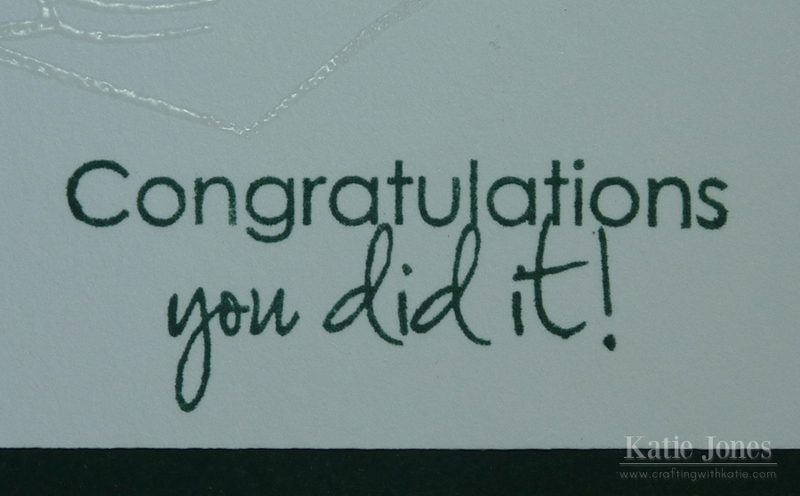 Anyway, she just graduated with her masters, so I made this card for her. It was hard to get a good picture of it. For my background I used clear embossing powder to stamp a graduation cap from My Creative Time's Follow Your Dream stamp set all over the white cardstock. I made my focal point by using the MCT XL Label Die to cut my dark green frame and the Stitched XL Label Die to cut my white layer. 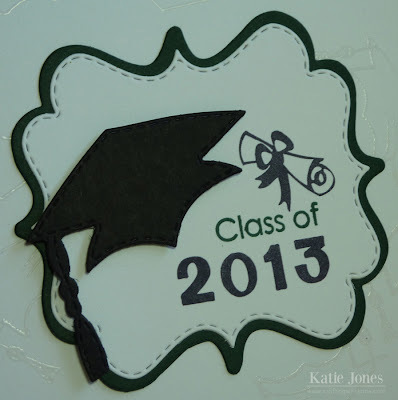 On that I stamped the diploma and "Class of 2013" with stamps from Follow Your Dream. 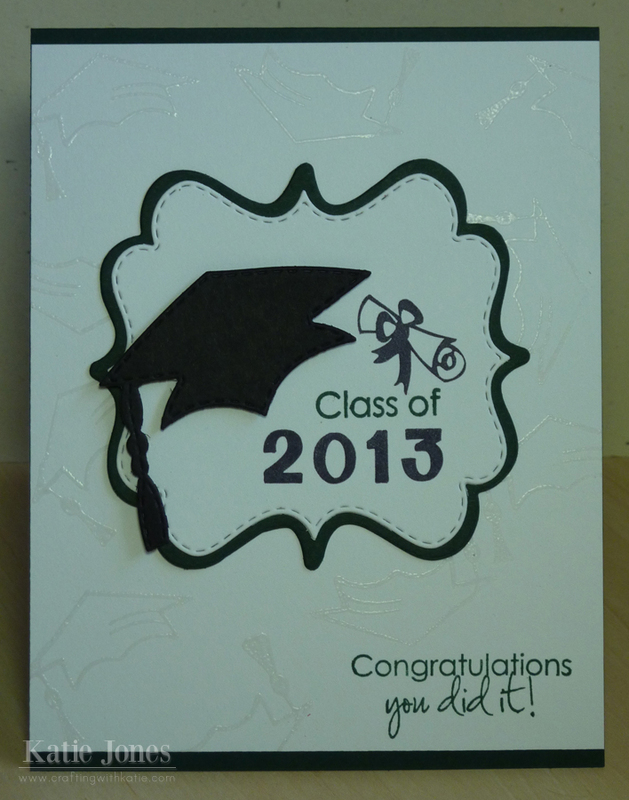 The graduation cap was die cut with a die from MCT's Here's Lookin' at You. This sentiment is also from Follow Your Dream, stamped in dark green, one of her school colors. I have used the Follow Your Dream set and the cap die many times...love those. 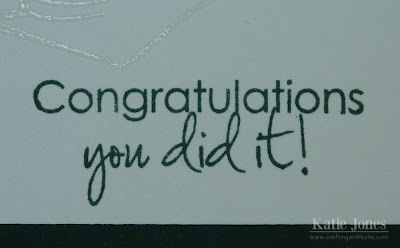 I really like how you put yours together and did the clear embossing :D Great job! I love this card, simple but elegant! Thanks for the cute design! I have been hoping for some inspiration for a grad card.